Flat UI Pro is made on the basis of Twitter Bootstrap in a stunning flat-style, and the kit also includes a PSD version for designers. And here are the two winners. An email has been sent to the winners with further instructions. Flat UI Pro contains a huge number of basic components, icons and glyphs, which simplify your work when it comes to new projects. Don’t waste time reinventing the wheel, use Flat UI Pro to get started. Our layout works perfectly on any modern platform, including mobile. You don’t need to create any extra code. 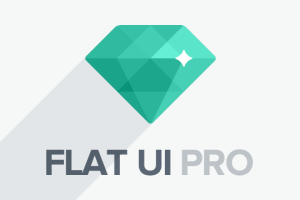 Flat UI is a powerful tool for quick and convenient prototyping of your projects. It will fit most projects because it contains up-to-date and modern web elements. Can’t Wait to grab this Sweety? If you can’t wait to get your hands on this Flat UI kit, We recommend that you get it now! And as always, don’t forget to leave your thoughts about this kit on the comments section.